The Wedding Upmarket brings together over 50 of Perth's leading designers and wedding suppliers for engaged couples. 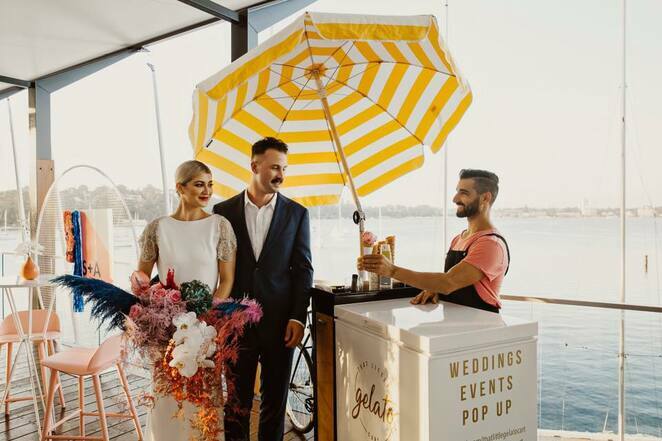 Hosted by the innovative Perth Upmarket team, Wedding Upmarket 2019 will take place on Saturday 4th May 2019 at Winthrop Hall and surrounds within the grounds of University of Western Australia. Held from 10am to 3pm in a relaxed and welcoming environment, Wedding Upmarket showcases a handpicked selection of more than 50 local designers and wedding suppliers to help engaged couples create a truly bespoke celebration. Come along with your bridal party and explore a wide range of local designer wedding specialists and services. Unlike other bridal fairs, Wedding Upmarket is not your average bridal fair, instead you will find beautifully styled areas in and around the Winthrop Hall Undercroft. Couples can freely wander around the inspirational spaces, meet Perth's leading designers and view their personalised and handcrafted wares and services on display, including jewellery, veils, wedding couture, stationery, stylists, florists, caterers and lots more. These designers can help transform all of those online inspiration boards into reality and perhaps offer new inspiration! Designers love the opportunity to showcase their work and talk to couples in a relaxed environment, so come and find out how you can create your very own custom wedding. It's a great opportunity to get a head-start on wedding preparations and is sure to be a fun, exciting day for all attendees. For all the latest on this event, please follow the official Facebook and Instagram.